I have Open Office 4.1.1. and a large document I created indicates it is one page. 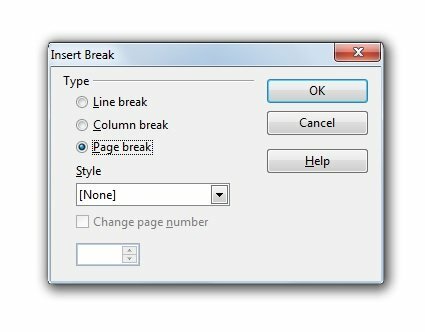 I tried manually inserting a page break by going to where I wanted to insert one, then selecting INSERT in the menu, then MANAUAL BREAK the selecting PAGE BREAK and OK and then saving the document. However, when I re-open it, the breaks are not saved - it still indicates it is one page. Help! Edited by debodun, 06 April 2019 - 03:10 PM. I worked around it by creating a new document page then copying the document in question to that.